VietPress USA (June 20, 2018): Trump blamed Democrats for separating children from their families of illegal immigration at border that his administration declared in April 2018. President Trump blamed Democrats that caused th families separated at US-Mexico border; but the Fact check from Media confirmed that Trump declared the wrong thing to defend his policy. The outrage spread out over the whole country after people saw the photos of separated children locked in different metal cages at a warehouse in Texas. 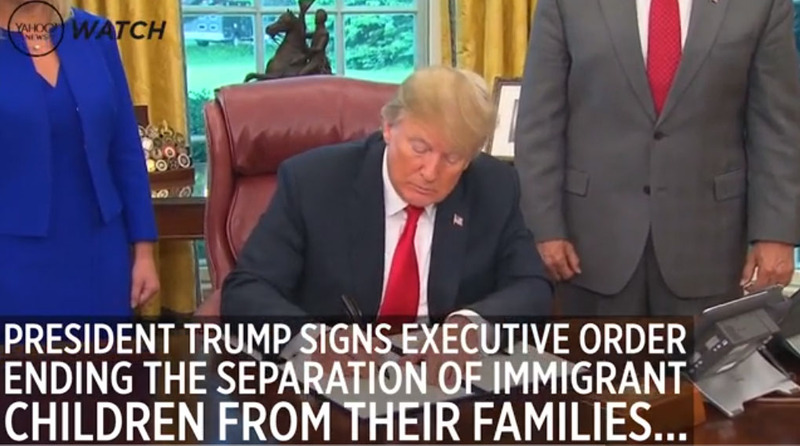 Democrats and a growing number of Republicans had called on Trump to issue such an order, but for weeks he had insisted that the policy was required by law and could only be changed by Congress. But today Trump signed his Executive Order to "address" separations but it won’t make a difference for thousands of children who have already been taken from their families.